Sunnysyrup Food Co., Ltd. is professional Manufacturer, Supplier and Exporter specialized in the development and production of Popping Boba Orange. We are located in Taiwan, with convenient transportation access. All of our products have own a good reputation in the same industry with the excellent quality and reasonable price. to satisfy customers' needs. Popping Boba-Orange Flavor Coating Juice is golden color, with bright and smooth surface. When biting the boba, orange juice is flowing out into your mouth. Sweet orange juice makes various kinds of tea appreciation. Regardless of extract tea or fruity tea, adding Popping Boba-Orange Flavor Coating Juice could be perfect fusion. Even adding in smoothie,milkshake or snow ice enrich the flavor and vision. lifting the spirits and with lasting aftertaste. 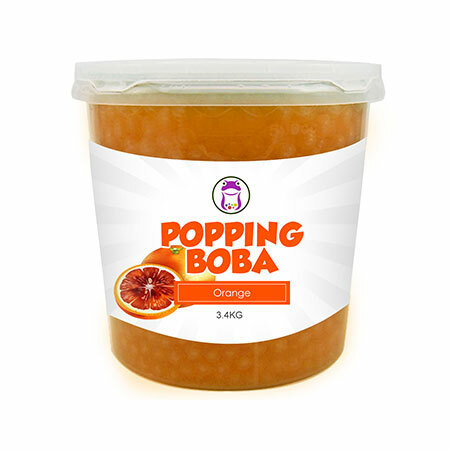 Popping Boba-Orange Flavor Coating Juice is made of Orange Conc. Juice, suitable for various of drinks and as topping for frozen yogurt. Please keep in shadow and avoid direct sunlight, this product is good for a year.